Maximize School Safety in NY & NJ. For schools, providing a safe learning environment is of the utmost importance. With POM as your security partner, you can develop a site-specific security plan to give students, parents, and staff an ultimate sense of safety. 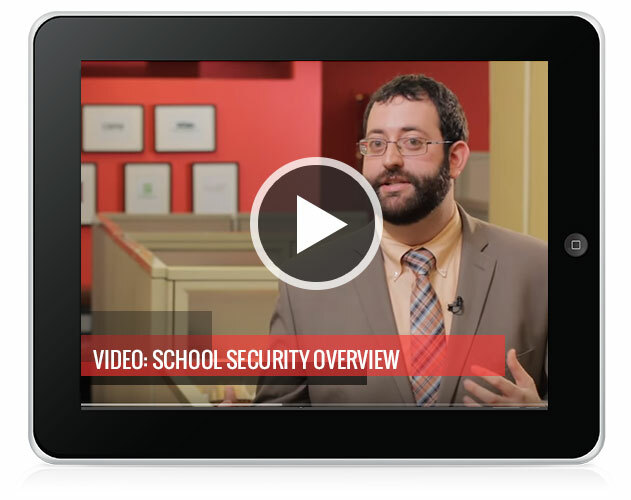 Professional Campus Security for K-12 & Higher Education Starts Here. Peace Of Mind Technologies is a security firm that develops custom security solutions designed to meet the unique needs of educational institutions throughout New York and New Jersey. 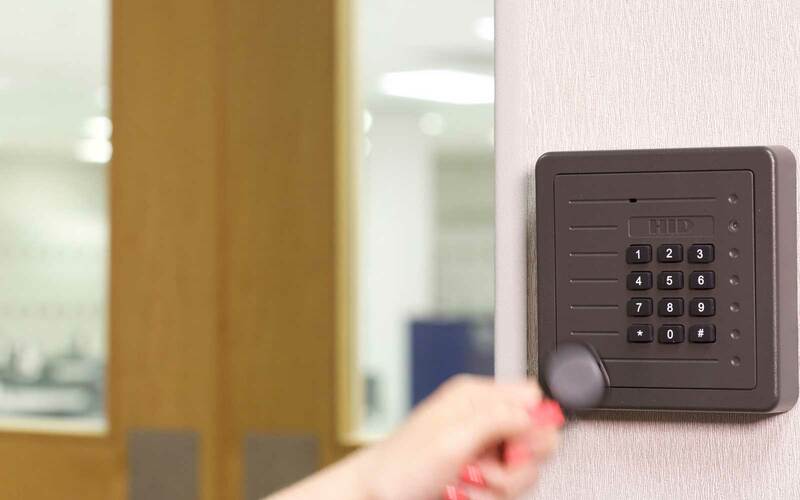 We have the tools and expertise to design, install, and monitor your school's security systems while providing the ongoing support you need to achieve your security goals. "They take safety to the Nth degree"
"The safety of our students is everything; I need to eliminate vulnerability. All potential risk factors must be anticipated and countered. This is what POM does when they design a security system for you. They take safety to the Nth degree." Record activity on your campus when it happens, and use it as critical evidence when necessary. Control who can access which areas of the building and when with pre-defined privileges that are assigned for each person. Combine old and new security technologies so the systems communicate seamlessly, as well as integrating all security technology with your existing network and IT infrastructure. Through off-hours video verification and offsite video hosting, our selection of managed building security services gives you total security and safety assurance. Trouble often walks right through the front door. If you secure your entrance, you secure your school. Peace Of Mind Technologies supplies turnkey security solutions from concept to completion. We fully integrate digital video servers, access control and visitor management software to optimize the security of your front entrance. For example, when a visitor enters a secured vestibule, he or she waits for ID access card confirmation while a camera records a video of the interaction. This security procedure ensures unauthorized intruders never gain access to the school, but it also creates a mantrap to hold any potential intruders until law enforcement arrives. Optimize site operations with our attendance management solution, which combines access control and immediate and customizable attendance reports for staff and students. Say goodbye to manual data entry for timesheets. Find out who is in the building at any time of the day. Attendance reports may be customized by class name, student name, arrival time and other factors. In times of emergencies, our attendance management solution provides a “who’s in?” report to quickly account for every person in the building. "Over the course of our 12-year relationship, POM has done a superb job keeping my school, as they say, ‘connected and protected’ with the latest in surveillance and access control technology. From the sales reps to the installers to the service technicians, I can’t recommend more highly the team at POM Technologies." Take advantage of a full-service private school or college security solution from Peace Of Mind Technologies and give your students and staff an ultimate sense of security. Speak with a Security Specialist today.